We are glad to share that YILPORT Leixões started to host Arkas-Tarros Great Pendulum Service with its fixed call at regular intervals. The first vessel of the service made its maiden call on 13th of June 2018 with m/v Vento di Zefiro. The service will be operating on connection between the following ports; La Spezia, Salerno, Piraeus, Istanbul, Gebze, Mersin, Beirut, Alexandria, Salerno, La Spezia, Genoa, Valencia, Casablanca, Leixões, Setubal, Genoa. As a part of Arkas and Tarros growth strategy in Portugal, Leixões is the second terminal after Setubal for Arkas and Tarros services. With this new service Arkas and Tarros started to cover North of Portugal with its direct calls. In the upcoming months, 5 vessels of 1,200-1,500 TEU will be deployed a VSA between Arkas and Tarros for this service, namely; m/v Corelli, m/v Vento di Nortada, m/v Hilde, m/v Vento del Golfo and m/v Vento di Zefiro. ‘YILPORT Leixões is very pleased that Arkas and Tarros have decided to call our terminal with their joint Great Pendulum service. The inclusion of YILPORT Leixões in the service loop is a great opportunity for our hinterland and its shippers that will benefit from the extended network both shipping lines can offer thus given them more options to move their cargo. Finally, and not of less importance, the regular calls from Arkas and Tarros is a recognition of the YILPORT brand capabilities in port and container terminal management that is boosted by high service standards to deliver robust performance and efficient ’says Nuno David Silva, GM of YILPORT Leixões. YILPORT Leixões, the largest seaport in the north of Portugal, represents 25% of the Portuguese seaborne foreign trade handling more than 19,5 million tons of commodities annually. The Port of YILPORT Leixões and accordingly its container terminal, is an integral part of the European port system. It has an important role in the Atlantic façade of the Iberian Peninsula where it stands as the most important inter-regional structure being a reference for the supply chains operating in the area. YILPORT Leixões Container Terminal is committed to assure efficient operations and meets the market’s needs in cargo handling. Thus, investing in human resources and technology has always been YILPORT Leixões’ top priority. 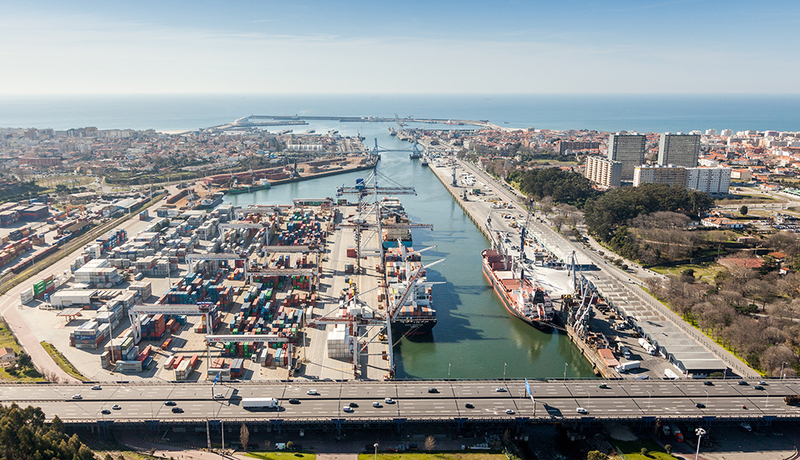 YILPORT Leixões is mainly a gateway terminal, committed to shortsea shipping and also offering competitive connections to main European port hubs. The terminal also creates value-added operations and attracts deep-sea lines in line with the shift in global logistics. YILPORT Leixões is divided into two distinct physical locations inside YILPORT Leixões; the North Terminal and the South Terminal.